There’s no turning back on linking payment to performance at U.S. hospitals. The Department of Health and Human Services (HHS) has a publicly stated goal of tying 90 percent of all traditional Medicare payments to quality or value by 2018 through value-based purchasing and readmissions reduction programs. HHS is also working with states and private payers to support adoption of alternative payment models that may, in some cases, exceed the goals set for Medicare. Overall, the programs focus on improving health outcomes and lowering system-wide expenditures; however, there are multiple paths to achieving pay-for-performance (P4P) goals. The Centers for Medicare and Medicaid Services (CMS) is testing a value-based insurance design model, allowing Medicare Advantage plans in 10 states to offer supplemental benefits or reduced cost-sharing to enrollees with certain conditions: diabetes, congestive heart failure, chronic obstructive pulmonary disease, past stroke, hypertension, coronary artery disease, mood disorders and combinations of these categories. One aspect of the program, for example, would eliminate cost-sharing for heart disease patients who elect to receive non-emergency surgeries at high-performing cardiac centers. More stringent standards come into play with national, mandatory programs such as CMS’ Hospital Value-Based Purchasing (HVBP), which rewards or penalizes hospitals based on their performance on domains of care, including clinical processes, outcomes, patient experience and cost efficiency. In fiscal year 2015, HVBP triggered penalties to 1,360 hospitalsand bonus payments to 1,700 hospitals. 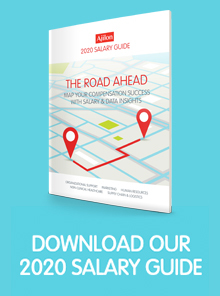 Ajilon’s 2017 Salary Guide provides the latest salary data and insights for your local job market. Request your copy here to get an edge in recruiting and retaining better specialty professionals.